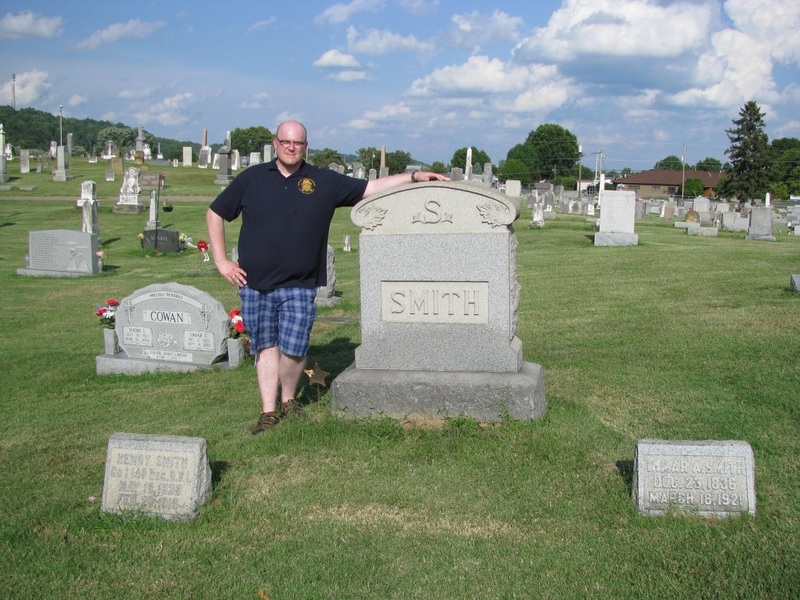 Henry Smith was born 18 May 1838 in Ohio to Paul and Elizabeth (Morgan) Smith. 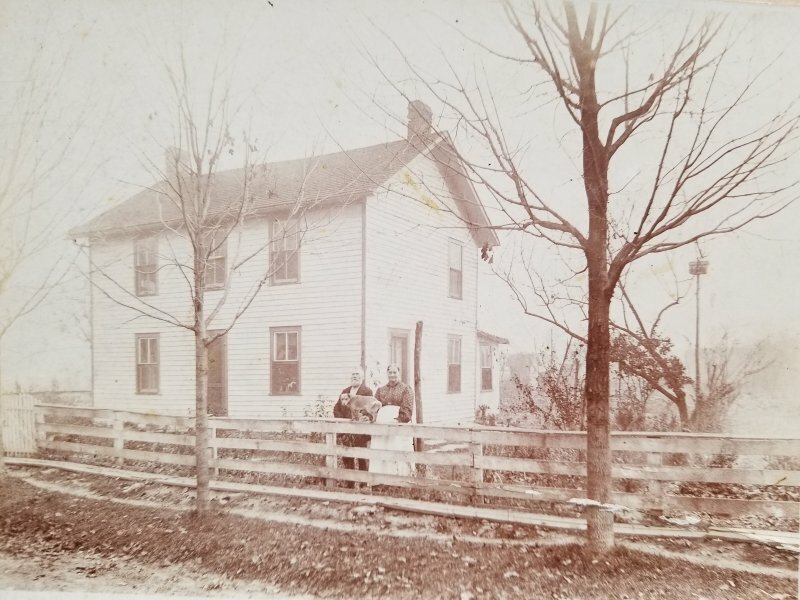 He was raised in the Barlow, Ohio area of Washington County along with is siblings: Sarah, David, Mary Ann, Phebe, Adaline, Aneliza, Church, and Charles. He married Tamar A. Morris in 1861. Henry passed away 26 February 1910, in Little Hocking, in the Belpre area of Ohio (Washington County). Henry volunteered for service with the 148th Ohio Infantry, Company I, in 1864 along with his brother-in-laws William Morris and Harvey Morris. 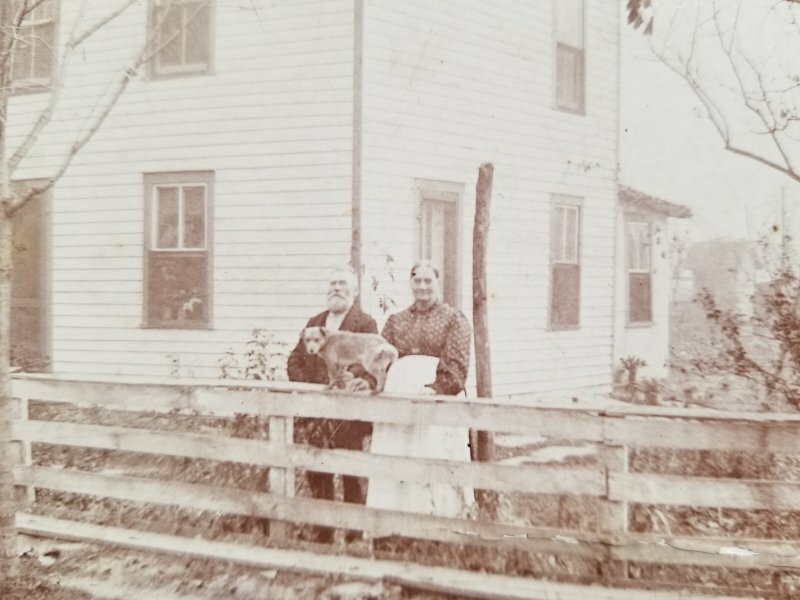 Three of his other brother-in-laws, John, Elza, and Elwood Morris had volunteered for the 77th Ohio Volunteer Infantry. Elza and Elwood passed away in 1862 due to disease during their service to the Union. Henry’s younger brother David, was a trooper in the 7th Ohio Cavalry (Co. H), the “River Regiment”. David was captured in eastern Tennessee, and sent to Andersonville Prison. David did not survive, and died of starvation and other effects from his imprisonment. The 148th OVI was a 100 day regiment, and saw service at City Point, VA, where U.S. Grant’s field headquarters were located during the Petersburg Campaign. The biggest adversity that the men of the 148th faced was on 09 August 1864 when a large explosion occurred on an ammunition barge docked at City Point. The explosion was the work of a time bomb placed by a member of the Confederate Secret Service. As many as 58 people lost their lives from the massive explosion. Henry was on a train located proximate to the ammunition barge at the wharf. The explosion sent his body into an open field area. He woke up several hours later in the field hospital, not knowing what had happened, but was injured significantly. Due to the state of medical knowledge at the time, the doctors’ opinion was that he was not injured badly because he did not have bad wounds that punctured his flesh. However, based on descriptions throughout his pension records, he suffered considerable internal injuries from the concussive blast effects of the explosion. As time went by while he received a military pension, doctors understanding of said blast effects were improved – this can be seen from their notes as they went from being doubters in the beginning to believers of his injuries by the end. Henry was a Comrade of A.H. Browning GAR Post No. 673 in Little Hocking, near Belpre in Washington County, OH. He served as Chaplain, and was assigned to ensure that graves were properly decorated in area cemeteries for Decoration Day. He was in Post No. 673 along with his daughter-in-law’s father, grandfather, and great-uncle (that daughter-in-law is Brother Smith’s great grandmother). This Regiment, organized as a Ohio National Guard unit, formed for one hundred days service, May 18, 1864, under Colonel Thomas W. Moore, and left for the field May 23d, by rail, when an accident occurred to the train resulting in the death of three and the serious injury of three others. The Regiment moved to Washington via Harper's Ferry, then to White House and Bermuda Hundred, where it served in the trenches until the last of August. It returned to Ohio and was mustered out September 14, 1864. 148th Regiment Infantry. Organized at Marietta, Ohio, and mustered in May 17, 1864. Left State for Harper's Ferry, W. Va., May 23; thence moved to Washington, D.C., June 1, and to White House Landing, Va., June 9. Moved to Bermuda Hundred, Va., June 11, and to City Point June 15. Attached to 1st Brigade, 3rd Division, 10th Army Corps, Army of the James. Duty at City Point till August 29. Moved to Marietta September 5, and mustered out September 14, 1864. Lost during service 2 Officers and 37 Enlisted men by disease. Total 39.